Hyperlinks make navigating thru drawing sets and referencing other documents like RFIs, web pages and specifications fast and efficient. For most Bluebeamers it’s critical to productivity in the field and makes for fabulous owner project deliverables. There are two types of hyperlinks and a few options that can make a huge difference in the experience you deliver to the project team. These 5 hyperlink tips in Bluebeam Revu will have everyone thanking you. To link to a reference document like an RFI, instead of using the hyperlink, use Edit Action. To do this, right click on the markup you made while the yellow handles are showing (typically a box with the RFI number in it) then choose Edit Action. Edit Action makes the hyperlink moves with the markup. A Standard hyperlink assigns the position on the sheet in Bluebeam Revu which creates orphaned links. To make a hyperlink stay visible all the time, check the Visible option on its Properties tab. Define a Color and a Line Width and Style to set a box around it. (I personally like the light blue with dashed lines around it to set off the hyperlink from highlights of the same color. You may want to then click Set as Default). This is an option in Batch Link as well so you can create them uniformly. 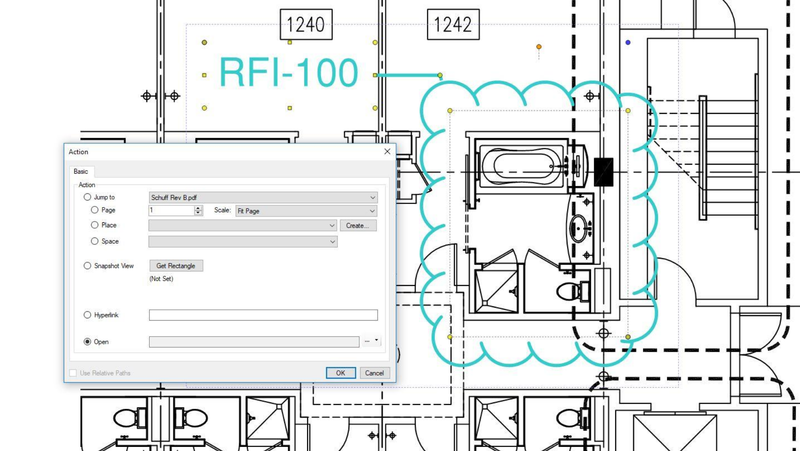 To create hyperlinks to a specific detail on a drawing sheet, first open the Links Tab, and Add a Place using the Snapshot View for each detail on the sheet. Be careful to name the Place uniformly (i.e. 9. Stair Detail, 8. Elevator Detail, etc.). Then use Text Search to locate each detail reference throughout the document (detail 8 on sheeet A302) where you can check all then select hyperlink checked so it links all occurrences at once. This also makes it easy to replace a detail when changes are made. Note: Batch Link will only link to the correct sheet, not the specific detail on a page. When linking between PDFs in a Studio Project, open both files and be sure to check out the file the hyperlink is being created in. You don’t have to check out the file being linked to, but you do need to at least open it. When linking between PDFs, use Jump To instead of Open. When selecting the PDF from the Jump To dropdown menu, only PDFs that are currently open in Revu will be available. When sharing PDFs outside your organization, remember to Flatten your documents so the Hyperlinks work in other PDF programs. 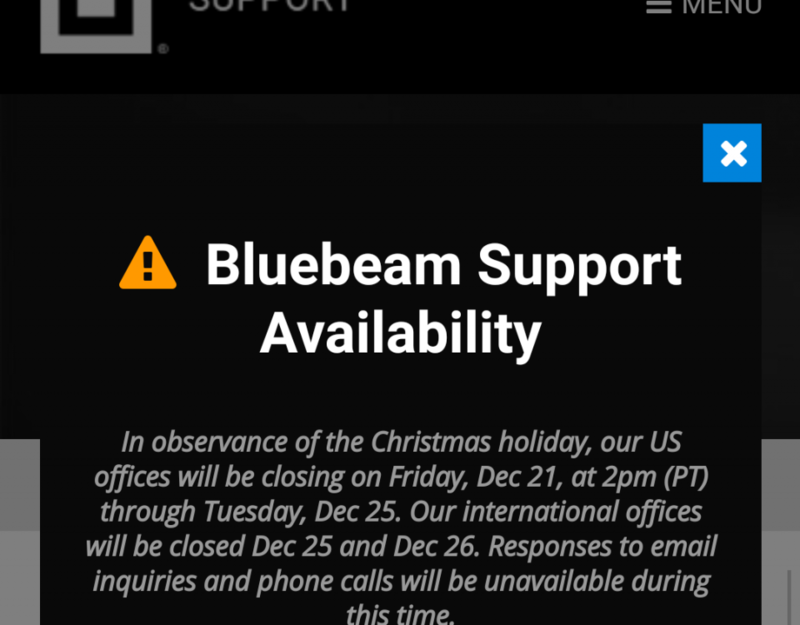 It’s hard to believe there are still people in in the AEC industry who don’t use Bluebeam Revu. 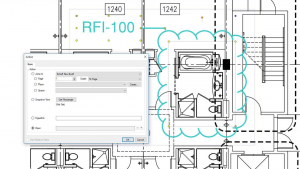 What other Hyperlink Tips in Bluebeam Revu would you add? Give us your feedback in the comments so everyone benefits! 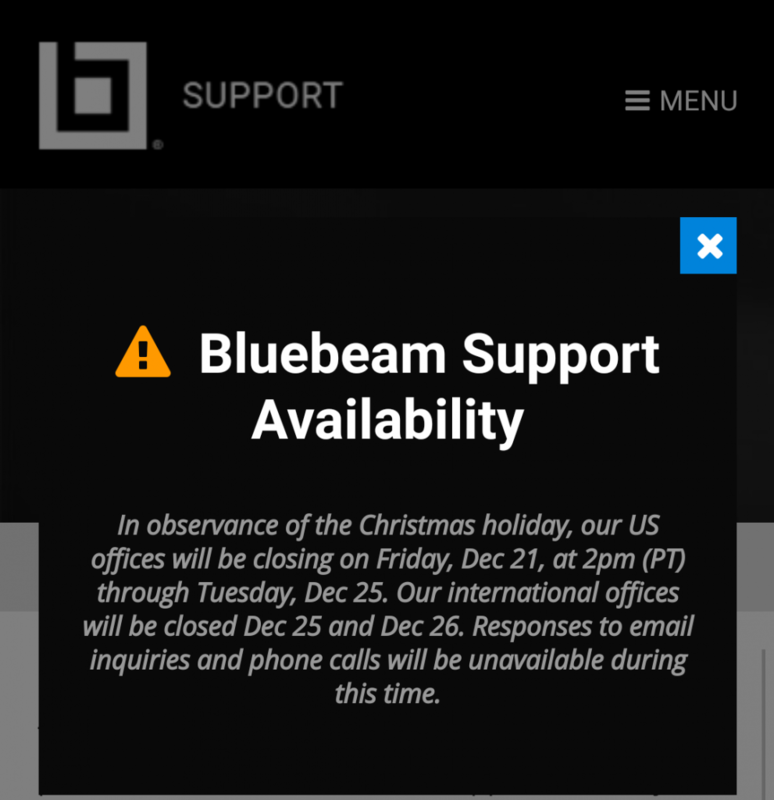 Know someone that isn’t using Bluebeam Revu? Please share this 30 day free Bluebeam Extreme trial download link with them.